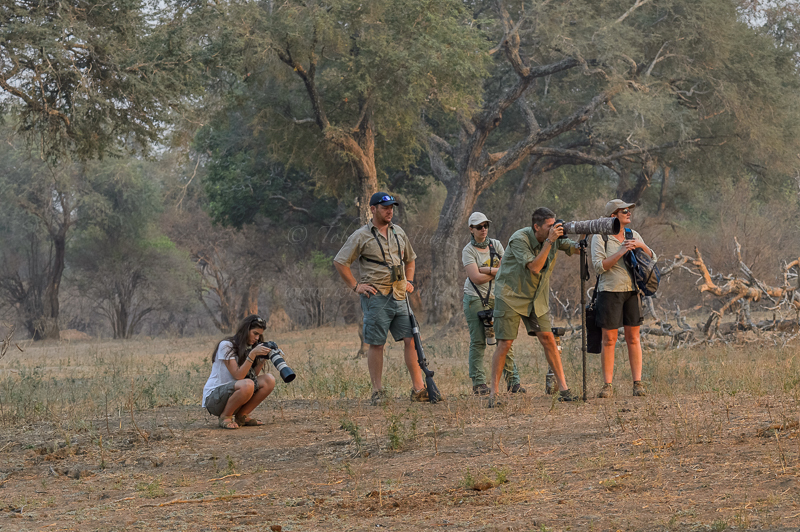 After many years of looking forward to a possible visit to Mana Pools I had the opportunity to join Marlon du Toit of Wild Eye to live my dream. I realised as it was October it was going to be hot. What I did not anticipate was that we will be there in the middle of a heat wave that went through. Daytime temperatures of 40 degrees C and above, made the trip just so much more extreme!! 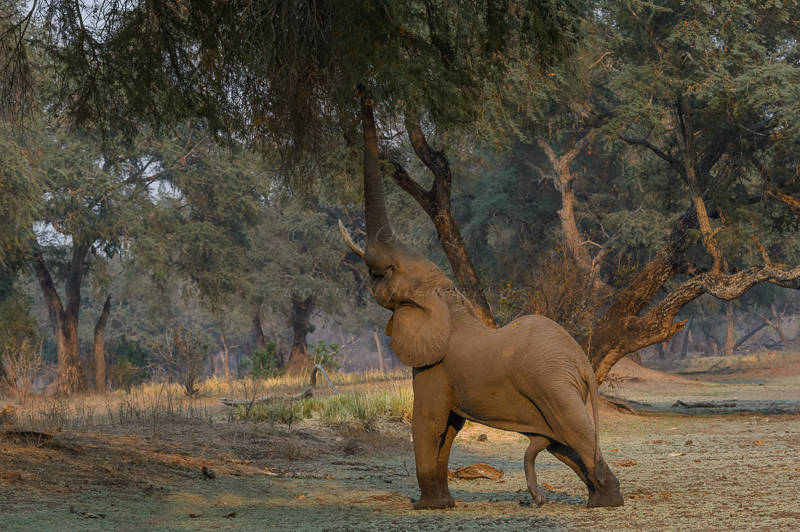 Dave & Tess from Mwinilunga Safaris were our hosts on the bank of the Zambezi river and really spoilt us with their hospitality including some great food. The tents and facilities were superb and the shady spot under the huge trees made us (almost) forget the high temperature. Kevin, our very capable guide, looked after us very well while Marlon got us in position to capture some wonderful images, all this on foot. 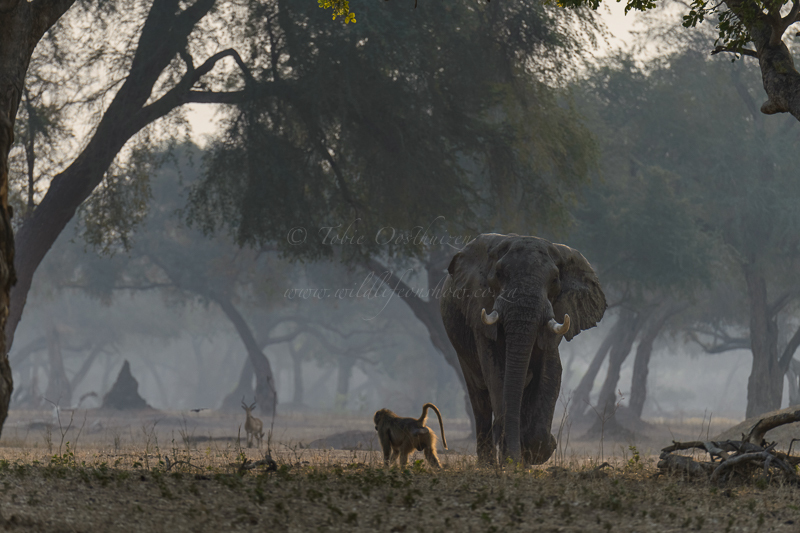 You can imagine the feeling when you are on foot within a few meters of a beautiful elephant bull feeding from the huge trees in the forrest or lion and wild dogs resting in the shade or playing in the water. Truly a life changing experience, thank you Marlon and Kevin. 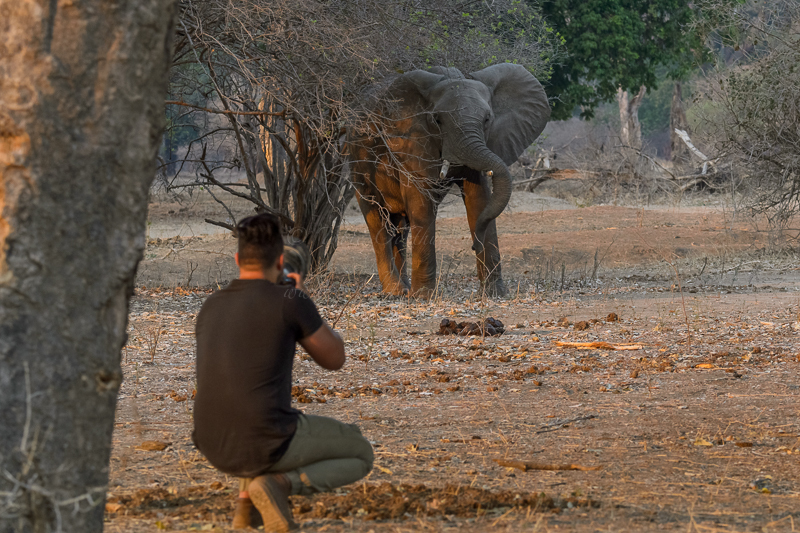 Our host Marlon getting a nice shot of a young elephant. 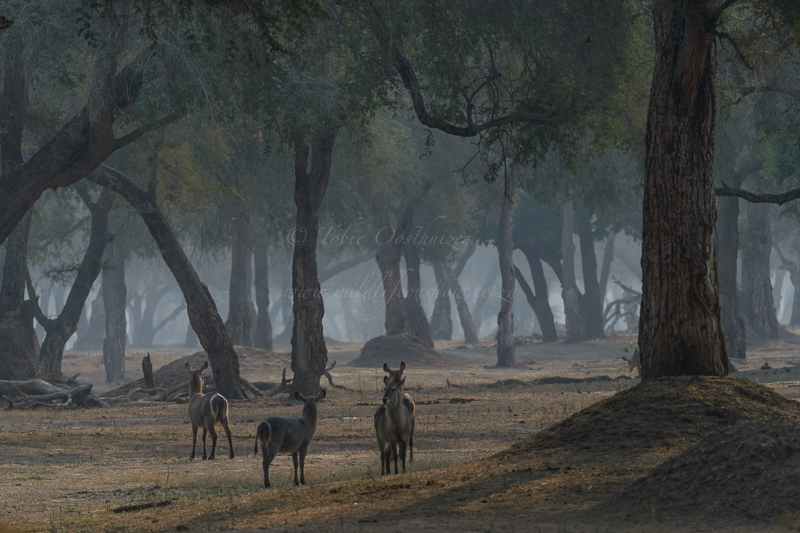 As it is normally very dry during October, with the rains only falling later, the animals have to really work hard to feed themselves. 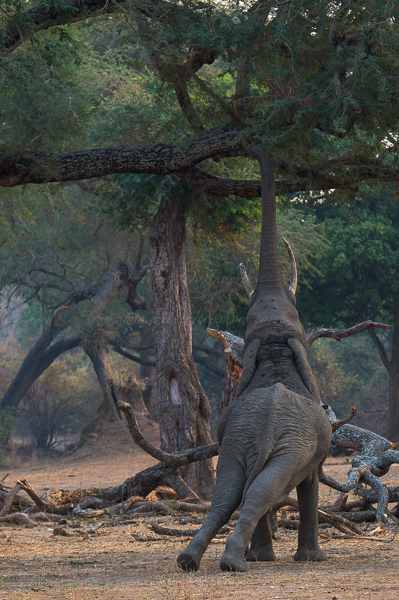 The bigger elephant bulls reach up to get to some leaves and branches high up in the trees. 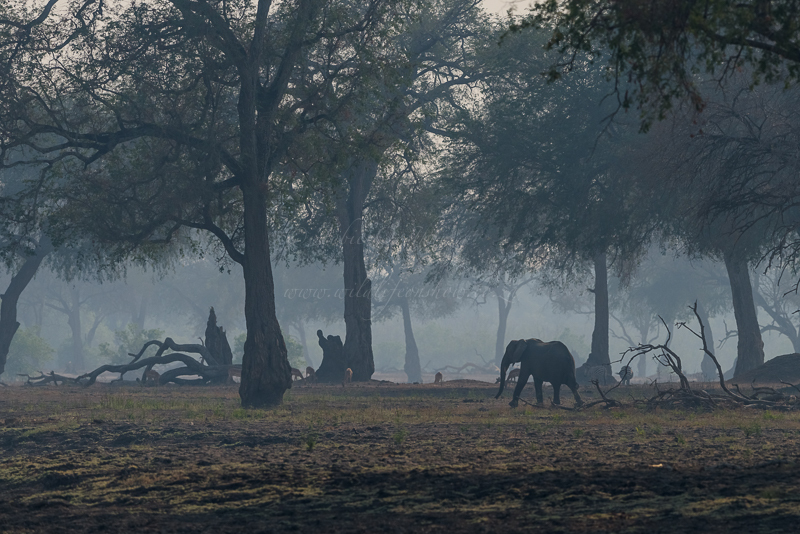 Mana Pools is well known for the blue light of the late afternoon and you can get some stunning images of this (obviously with the help of Marlon). 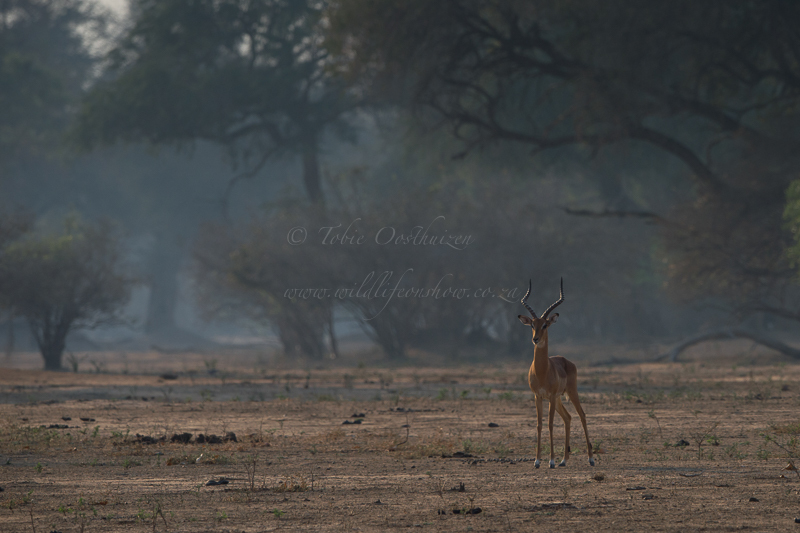 In a next blog post I will share our experience following a pack of 29 wild dogs.